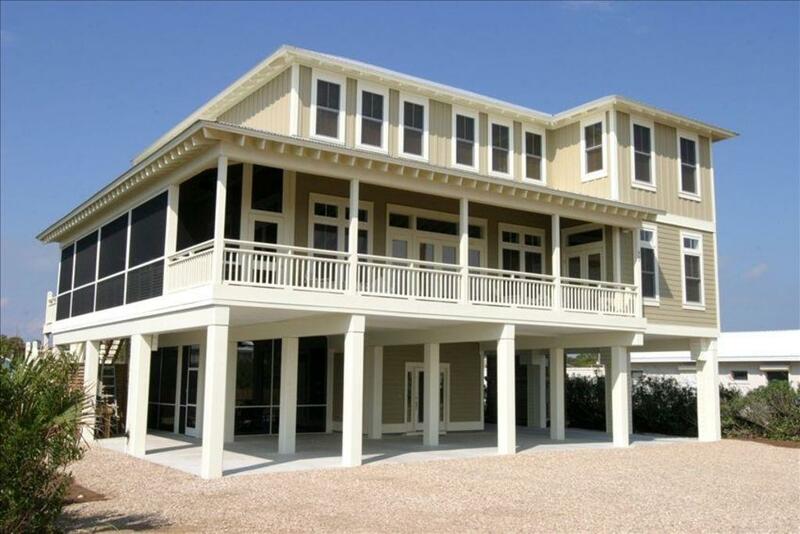 1ST TIER, 5 bdrm, 5 1/2 bath home with beautiful Gulf views. First floor features an open concept living, dining and kitchen area. The dining and kitchen area open onto a spacious, screened porch. This is a great spot for family meals! The living room and master bedroom open onto a large front deck with fabulous views of the Gulf. The second floor offers a second living space. A great spot to get away to watch TV, play games or relax with a book. The four bedrooms upstairs each have their own full bath. Sold fully furnished, with a great rental history. Owner is a licensed Realtor in the State of Florida.